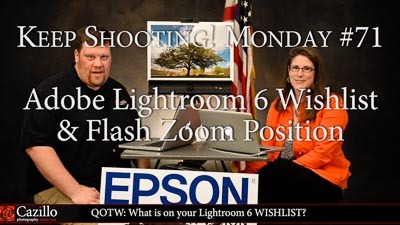 Question of the week: What is on your Lightroom 6 WISHLIST? 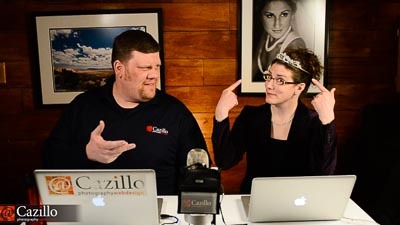 Question of the week: How do you like the new video setup? 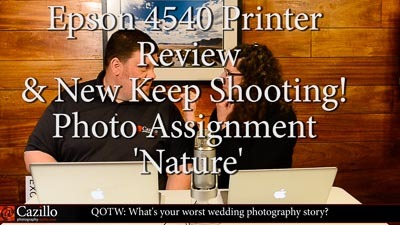 QOTW: What's your worst wedding photography story? 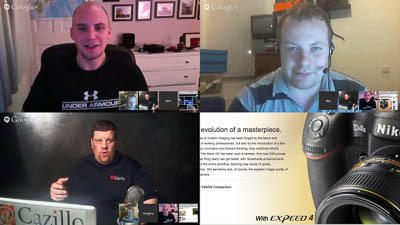 Question Of The Week: What equipment would you rent to play with? 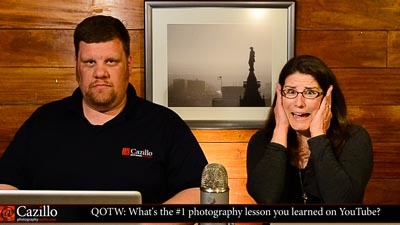 Question of the week: What's the #1 photography lesson you learned on YouTube? 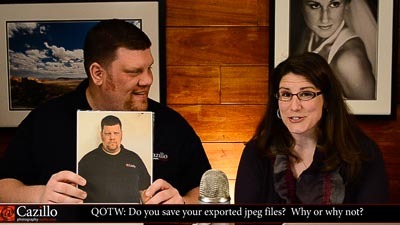 Question of the week: Do you save your exported jpeg files? Why or why not? 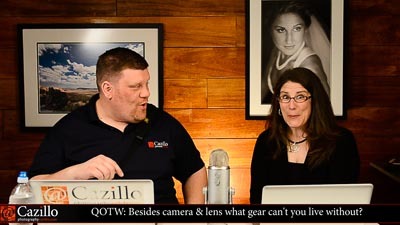 Question of the week: Besides camera & lenses what gear can't you live without? 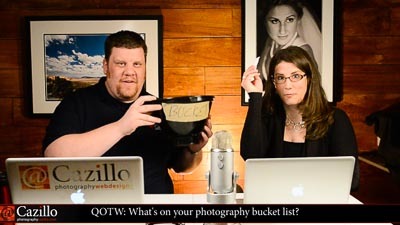 Question of the week: What's on your photography BUCKET LIST? 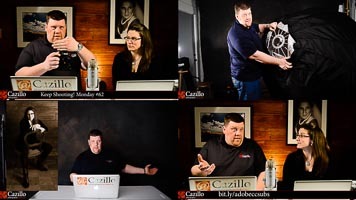 Question of the week: What accidents have you had while creating photographs? 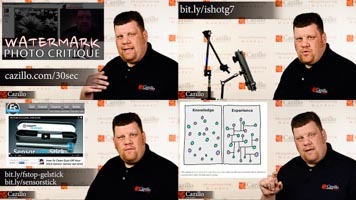 Question of the week: what is your favorite light modifier? 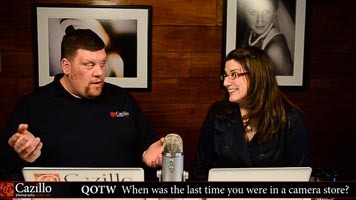 Question of the week: When was the last time you were in a camera store? 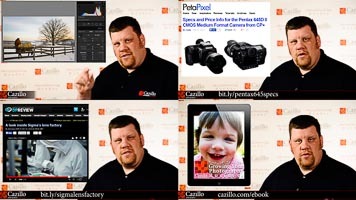 What feature do you want in your next DSLR? 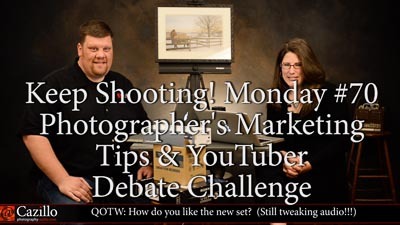 Nikon D4s & Two Co Hosts! 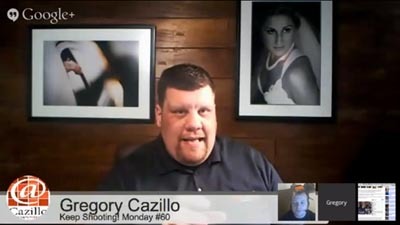 Big thanks to Dom and Roy for joining me today! 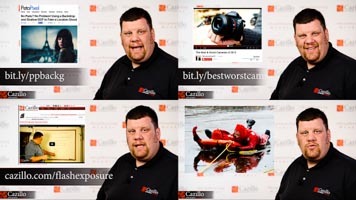 Don't Let Your Smartphone Make You a Lazy Photographer! This is why I'm not an instagram fan! How do you like my horse photo?! You NEED to watch this rant! 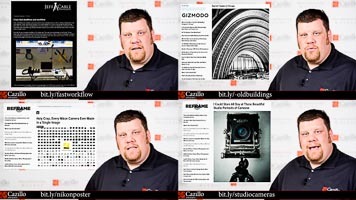 Today's photo news: 3 new cameras, Lightroom branding and the best hard drive brands. 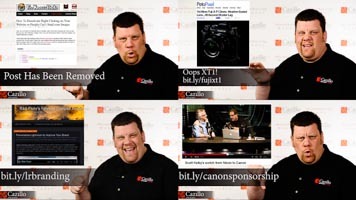 Plus something you should NEVER do to your website! Let me know what you think of the new 'ratings system' hahaha. 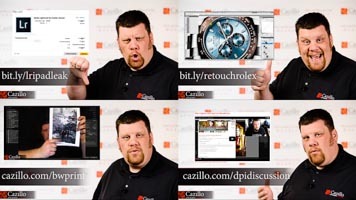 Tips today about photo paper choices, website tips and mixing flash with ambient light.